The article was prepared within the framework of the Basic Research Program at the National Research University Higher School of Economics (HSE) and supported within the framework of a subsidy by the Russian Academic Excellence Project “5-100”. The target population included persons aged from 25 to 69 years who live and work in Russia and have doctoral degrees. In this survey, multistep stratified sampling was used with quotas under the following parameters: gender, age, field of science, employment sector and geographical area. The nationally representative sample was clustered within eight Russian Federal districts and stratified by the number of Ph.D. graduates in each district. The sample was about the same in 2010 (3450 persons) and in 2013 (3492 persons). In 2013, the selected population was comprised of 1914 men (54.8 %) and 1578 women (45.2 %) who were employed at research institutions, universities and R&D organizations and represented all fields of science and engineering. Individual on-the-job interviewing was used. courses, trainings, workshops in management, planning, etc. Information on publications and citations (variables \(\#\) 1–13) was extracted from the database Web of Science. Accessed: June 2014. Data for variable \(\#\) 14 were extracted from the website of the Russian Academy of Sciences. Source: http://www.ras.ru/presidium/documents/directions.aspx?ID=07f28cf4-5660-46a3-abab-e18dd3771026. Accessed: April 2015. Data for variables \(\#\) 15–19 were extracted from the “Expert Corpus”. Source: http://expertcorps.ru/science/whoiswho/affs. Accessed: April 2015. Auriol, L. (2007). PhD holders: The labor market and international mobility. Foresight–Russia, 1(3), 34–48. http://foresight-journal.hse.ru/en/2007-1-3/26558538.html. Auriol, L. (2014). Careers of doctorate holders: Employment and mobility patterns. OECD Science, Technology and Industry Working Papers 4, OECD, Paris. doi: 10.1787/5kmh8phxvvf5-en. Auriol, L., Misu, M., & Freeman, R. (2013). Doctorate holders: Labour market and mobility indicators. Foresight–Russia, 7(4). 16–42. http://foresight-journal.hse.ru/en/2013-7-4/107116768.html. Bourdieu, P. (1984). Distinction: A social critique of the judgement of taste. Cambridge, MA: Harvard University Press. http://www.hup.harvard.edu/catalog.php?isbn=9780674212770. Bourdieu, P. (1988). Homo Academicus. Stanford, CA: Stanford University Press. http://www.sup.org/books/title/?id=2475. Bourdieu, P. (1997). Les Usages Sociaux de la Science: Pour une Sociologie Clinique du Champ Scientifique. Les Éditions INRA, Paris. http://www.quae.com/fr/r480-les-usages-sociaux-de-la-science.html. Bourdieu, P. (2004). Science of science and reflexivity. Chicago, IL: University of Chicago Press. http://press.uchicago.edu/ucp/books/book/chicago/S/bo3630402.html. Bourdieu, P., & Wacquant, L. J. D. (1992). An invitation to reflexive sociology. Chicago, IL: University of Chicago Press. http://press.uchicago.edu/ucp/books/book/chicago/I/bo3649674.html. Calhoun, C. (1993). Habitus, field, and capital: The question of historical specificity. In: C. Calhoun, E. LiPuma,&, M. Postone (Eds. ), Bourdieu: Critical perspectives (pp 61–88). Chicago, IL: University of Chicago Press. http://eprints.lse.ac.uk/42383/. Grenfell, M. (2012). Pierre Bourdieu: Key concepts (2nd ed.). Stockswell: Acumen Publishing. https://www.routledge.com/products/9781844655304. Lebaron, F. (2003). Dispositions, social structures and economic practices: Towards a new economic sociology. In: E. Fullbrook (Ed. ), Intersubjectivity in economics: Agents and structures (pp. 231–240). London: Routledge. http://www.taylorandfrancis.com/books/details/9780415266987/. Lebaron, F., & Grenfell, M. (Eds.). (2014). Bourdieu and data analysis. Methodological principles and practice. Peter Lang AG, Internationaler Verlag der Wissenschaften, Oxford, Bern, Berlin, Bruxelles, Frankfurt am Main, New York, Wien. http://www.peterlang.com/index.cfm?event=cmp.ccc.seitenstruktur.detailseiten&seitentyp=produkt&pk=68922. McGuire, W. L. (2011). 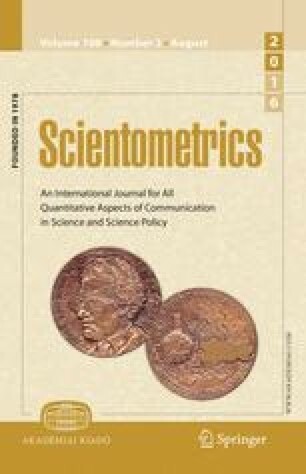 Constructing quality in academic science: How basic scientists respond to canadian market-oriented science policy—A Bourdieusian approach. Ph.D. thesis, Dalla Lana School of Public Health, University of Toronto, Toronto. http://hdl.handle.net/1807/31862. Zuckerman, H. (1996). Scientific elite: Nobel laureates in the United States. New Brunswick, NJ: Transaction Publishers. http://www.transactionpub.com/title/Scientific-Elite-978-1-56000-855-2.html.